A beautiful combination of soap, herbs & oils. Add a pinch to wet hands, scrub then rinse. Leaves your hands smooth & soft. Smells amazing! 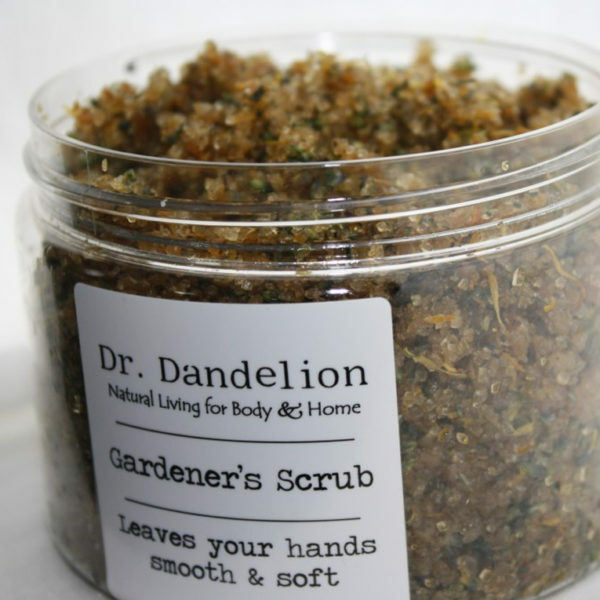 This is a great product to leave by your kitchen sink for everyday exfoliation. Also an excellent foot scrub. Soak your feet in a tub of warm water until they’re soft, grab a pinch of the scrub and work into your feet. Soak for a few minutes longer then rinse with fresh water. When was the last time we took the time to soak our feet?? Okay, I’m making a vow to myself to take more time for the little things!! Ingredients: Organic olive oil soap, raw sugar, lavender buds, calendula, olive oil, lavender oil, tea tree oil, orange oil. Posted	on Thursday, February 26th, 2015 at 9:21 pm	under .